Gavin might just be the music that Abigail yearns for … if only his painful past will allow him to love again. Just a few months after arriving at Inferno Falls, Abigail can’t see the light at the end of her tunnel. No one can complain about being overworked and broke when the rest of the country’s the same way, but that doesn’t make it any easier when Abigail has to live the story every day. It’s not the work or the meager lifestyle she minds. Abigail wants something more…something inspired…something raw. Gavin is a grieving musician trying to re-find his inspiration. He’s mourning a crushing loss, and life has become too mundane, too typical, to give him the material for songs that used to come so easy. 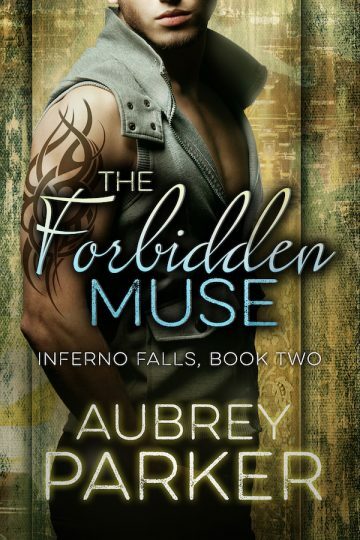 What could he expect to find in Inferno Falls that would truly stir his heart? After all, he’s been shattered by love too many times to find any comfort in a woman’s arms. Strings play the moment they meet in Abigail’s section of the Nosh Pit, Inferno Falls’ latest and hippest restaurant, and their pulses thunder like a drumbeat from the moment their eyes touch. Abigail feels a stirring in her heart she never expected, while Gavin goes home to pour his inspiration into music. But despite their obvious harmony, Gavin’s past won’t let anyone get too close. And after years of heartache, Abigail doesn’t have time for anyone who seems like they’re just playing around. Together they’ll have to learn to sing in chorus, or let the stage lights fade and bow out of each other’s lives for good. Dive heart-first into the romantic firestorms of Inferno Falls. Download it NOW!